Christmas time means shopping, shopping, and more holiday shopping. Whether you’re shopping for decorations, presents for loved ones, or for yourself, Las Vegas has plenty of locations for the ultimate holiday shopping. Most of us are guilty of procrastinating and are tempted to buy online for those last minute gifts (even though 46% of shoppers want to touch and feel a product before purchasing), but turn to some of the best shopping in Las Vegas this holiday season, instead. Read on for some of the best last minute holiday shopping near your home at Juhl. 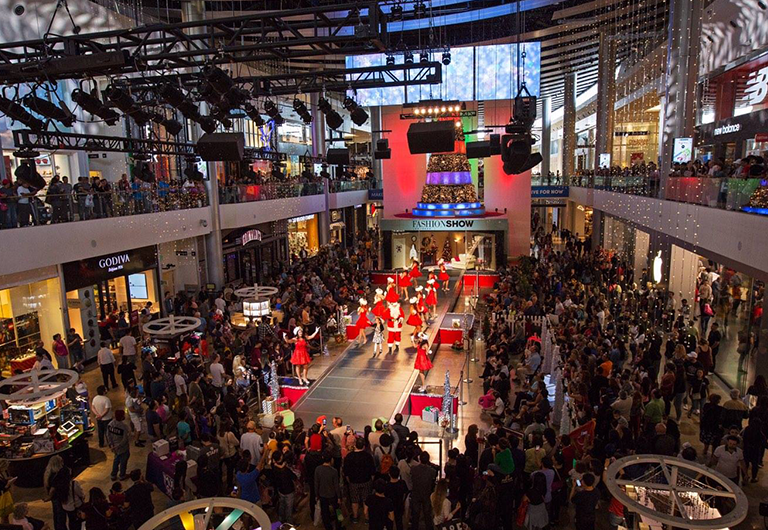 First up on our list for the ultimate Las Vegas shopping experience is Fashion Show Mall, located on the north end of The Strip. This mall consists of 238+ stores and restaurants, free parking, and everything you could possibly need during your hunt for the best holiday presents. Some stores that you can expect to find in Fashion Show Mall are Nordstrom, Saks Fifth Avenue and many more high-end choices. If you’re looking to spend some serious holiday money on your loved ones this year, this is the location for you. Staple stores for gifts, boutique items, and upscale dining make up your last minute shopping experience. Although this mall is located right on the Strip, it’s still a local favorite. Located less than a mile from your home at Juhl, the Las Vegas North Premium Outlets are the destination for your favorite name brand items at a discount. With 175+ stores, such as Under Armour and Calvin Klein, you can expect to save anywhere from 25%-65% on some of your items. Knock that holiday shopping out and stick to your budget when shopping at this location. On the opposite end of the Strip are the Las Vegas South Premium Outlets, the perfect place to shop for parents, children, friends, and everyone else on your list. Whether you’re looking for some of your old favorites or want to shop new and trendy designers, the Las Vegas South Premium Outlets have it all. 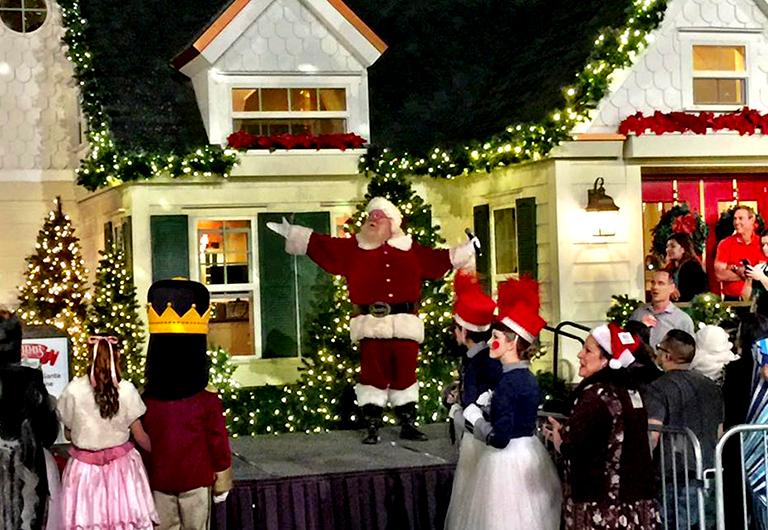 Take your shopping back to Downtown Las Vegas at Downtown Container Park. 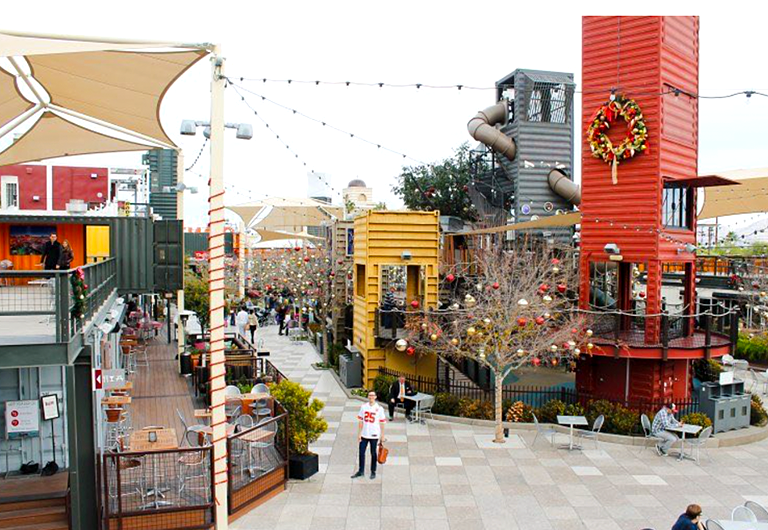 Not only does Downtown Container Park offer dining, drinks, and an abundance of entertainment, the unique shops are the perfect place to finish up that list of last minute holiday shopping. This open air shopping center offers everything from jewelry to clothing to children’s toys, that’s something for everyone on your list. After shopping till you drop, grab a delicious bite or a nice, cold drink. There are plenty of dining options right inside Downtown Container Park like Cheffini’s Hot Dog, which serves gourmet hot dogs and domestic draft beers. Or, if you’re looking for a craft cocktail made by some of the most talented mixologists around, step into Oak & Ivy. Not only does Downtown Container Park have some of the best shopping in Las Vegas, they also have some of the best food! The Promenade at Juhl has a little bit of everything for everyone on your list. If you’re looking for the perfect gift for the foodie on your list, make your way to back to The Promenade at Juhl, home to Le Pho, one of the best Vietnamese kitchens in the city. Whether you’re just looking for an appetizer or are sitting down for a full meal, this Downtown kitchen is just what you’ve been craving. Grab a Le Pho gift card that special someone on your list! For the tech savvy person on your shopping list, head over to The Audio Video Boutique & Design Studio, located at The Promenade at Juhl. This unique shopping concept was created with the electronic and interior design customer in mind. Whether you’re looking to gift the perfect headset or want to get your own home theater started, The Audio Video Boutique is your one stop shop. Not only can you listen, touch, and feel the products, but you can also understand the experience that each product provides. Being able to experience a product before purchasing makes it easy to tackle your last minute holiday shopping with ease. Start 2019 right by gifting a delicious and healthy meal to Greens & Proteins! Not only does Greens & Proteins provide a great snack or meal, but their menu is crafted to fit your lifestyle with easy to-go items or a more formal meal. f there’s still one more person you need to shop for on your list, pick up a gift card at the restaurant. Your loved one will be thanking you for the gift long after the holidays! Next up is a boutique shopping experience all about interior design. Downtown Decor has everything you need for the HGTV-loving family member or friend on your list. This one-of-a-kind shop include a variety of pieces for your home, in a variety of styles and designs. Warm wood furnishings? Check. Creative and innovative? Check. Budget friendly yet high quality? Check. At Downtown Decor, you’ll find beautiful home furnishings that you simply can’t find anywhere else. Our final stop for last minute holiday shopping in Las Vegas is Town Square. This year-round, outdoor shopping experience is located South of the Strip, just before you get to the Las Vegas South Premium Outlets. This pet-friendly shopping location has unique clothing shops, staples like H&M, Sephora, and Apple, and some delicious dining establishments. Locals consider Town Square some of the best shopping in Las Vegas because of its versatility and vibe. Now that you have a better understanding of some of the hottest shopping locations in the desert, it’s time to get out there and find the perfect presents. Even if you left your holiday shopping until the very last second, you’re sure to find something you love for everyone on your list at these great destinations.